Bass Coast Landcare Network AGM: Peter McDonnells Property, 2185 Dalyston-Glen Forbes Rd, Glen Forbes. Agroforestry guru Rowan Reid is the guest speaker. Includes a free lunch of wood fired pizzas and farm tour. RSVP to 5678 2335 or info@basscoastlandcare.org.au. July 8, 2017 - While the periodic flooding of the Powlett estuary causes consternation to some local landholders, it's a time of plenty for wildlife, reports Catherine Watson. 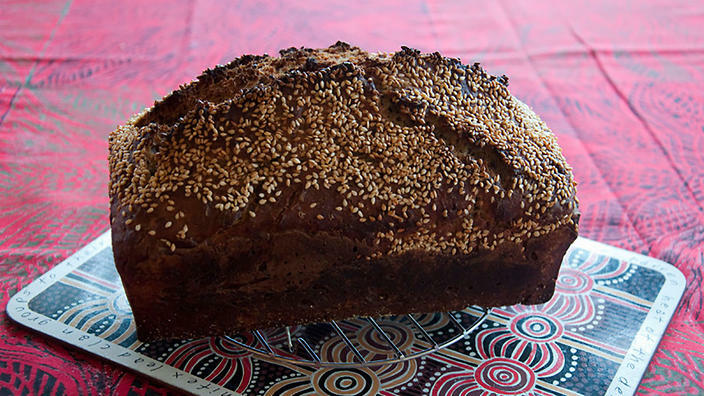 Kangaroo grass seed bread, anyone? Producers at a Korumburra food forum were fascinated by Bruce Pascoe’s account of the potential of foods from Australia’s indigenous past. Jye Andersen, left, and John Eddy prepare mangrove seeds for planting. IT’S not every day that a dedicated young person offers to spend a week of their time helping with conservation work, so when that offer came from Deakin University environmental science student Jye Anderson, we jumped at it. Jye, who grew up on Phillip Island, was required by his university course to do 80 hours of work experience, and he chose to do 40 hours with Phillip Island Conservation Society (PICS) and 40 hours with Bass Coast Landcare Network. Being familiar with Jye’s approach to field work after meeting him at several working bees earlier in the year, I knew that as his PICS supervisor I would not be disappointed, and that we could achieve a lot together. Now that the work experience period has finished, Jye and I look back on an enjoyable and productive time working mostly at Scenic Estate Reserve, but also at Red Rocks and on mangrove planting at Grantville. We collected and tentatively identified up to 15 moss and liverwort species from Scenic Estate, and started a photo gallery of flowering plants. We continued the monitoring program of sea spurge germination near Justice Road, and joined in a successful “Spurgebusters” morning, clearing out sea spurge over an area from Justice Road to Red Rocks and removing boneseed. Blue periwinkle has been hunted out and removed from previously infested areas at Red Rocks. Jye helped me continue the salinity monitoring project at Scenic Estate Reserve and set up monitoring of cliff erosion on the coast there. Site maintenance has included removal of disintegrating guards and control of thistles and stinkwort. We also measured the impact of herbicide on swamp paperbark encroaching on native grassland. Mangrove seed has been collected at different places along the coast, and secured to bamboo stakes in a new direct-seeding method being trialled to establish mangroves on eroding shorelines. One hundred were recently planted in this way at Scenic Estate Reserve and nearly 300 at Grantville. In addition, Jye took part in surveys to establish our order of plants for 2017 with the Barb Martin Bush Bank, contributed to discussion of Stage 2 planning at Scenic Estate Reserve, was an observer at a recent PICS committee meeting and helped plan our December 11 working bee, where he demonstrated mangrove planting. Our sincere thanks to Jye for his invaluable assistance with all of these projects. After Christmas he headed off to Costa Rica for several months to help with the conservation of sea turtles. We look forward to Jye being our guest speaker at the PICS general meeting in April, where he will present a summary of his work experience with PICS and BCLN and his exciting Costa Rican experience. If you would like to help with the Phillip Island Conservation Society’s work at Scenic Estate Reserve or Red Rocks, contact John Eddy at cgrayden@waterfront.net.au. New volunteers are always welcome. Upcoming working bees at Scenic Estate Reserve on Sunday February 12 (weed control) and Sunday March 5 (Clean Up Australia Day). We meet at the carpark at 10am, and finish with morning tea at midday. 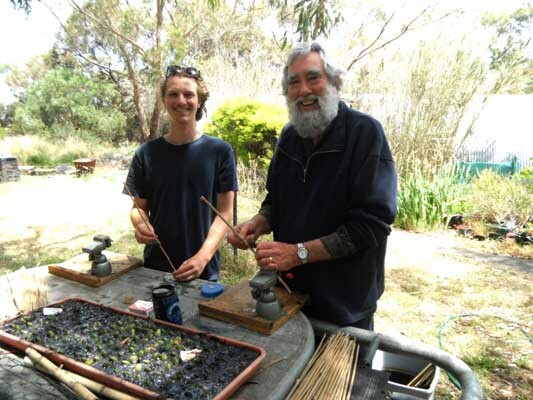 John Eddy is the Phillip Island Conservation Society’s volunteer co-ordinator. This article was first published in the Phillip Island Conservation Society newsletter. ​BASS Coast council will support a pilot program for the use of Bioweed as an alternative to glyphosate-based products in a number of locations across the shire. A community petition received in September this year requested the council to consider alternative methods of weed control around schools, playgrounds and childcare centres. Bioweed is a plant-derived product that dehydrates weeds, rather than poisoning them. Councillors voted unanimously at the November ordinary meeting to trial Bioweed at council-maintained playgrounds, as well as any council-managed land abutting schools and childcare facilities. Bass Coast Mayor Pamela Rothfield said while the debate and science surrounding glyphosate will continue, the council could use this simple change of product to respond to community concerns. “A number of other councils have already made the change to move away from glyphosate in certain locations, and now we have committed to a pilot program around places our children play,” Cr Rothfield said. Council will receive a report at the February 2018 meeting detailing results of the program after 12 months of implementation. The mouth of the Powlett after Tuesday’s re-opening. 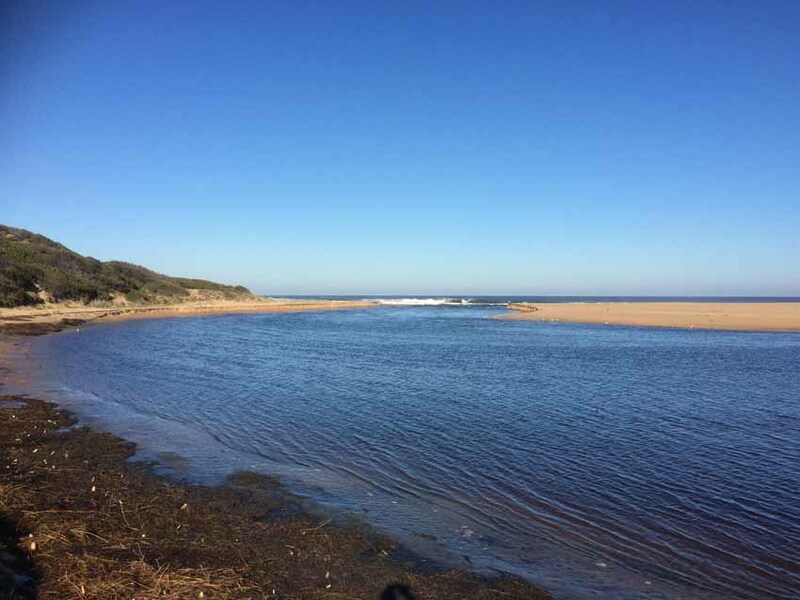 AFTER a three-month closure, the Powlett River Mouth was successfully opened on Tuesday after conditions were established as safe for a controlled opening. West Gippsland Catchment Management Authority CEO Martin Fuller said the successful opening showed how much the natural conditions impact the river mouth. 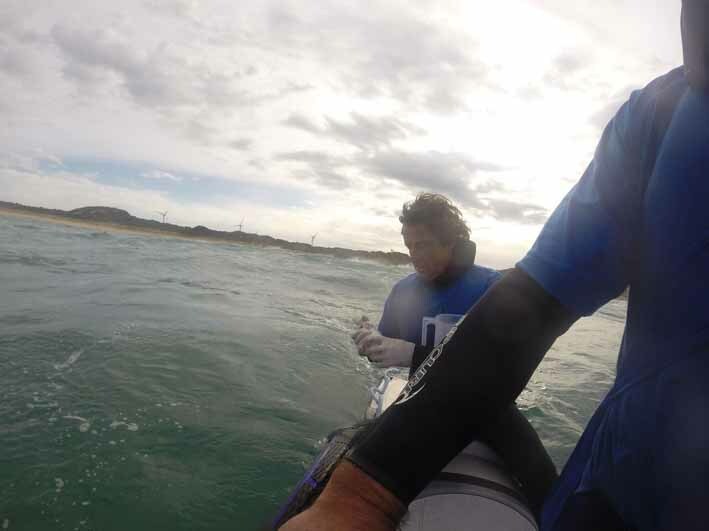 “We attempted an artificial opening in May, however due to low river flows, high tides and large ocean swells the mouth naturally closed again. Mr Fuller said the mouth of the Powlett would have reopened naturally in time, but due to the height of water levels in the estuary, and its effect on surrounding private land and roads, it was important to open the mouth when conditions were suitable. If the sandbar is opened under the wrong conditions, oxygen-rich water from the top of the estuary drains into the sea, leaving oxygen-depleted water. The low oxygen levels in the water can damage the health of the river and cause fish and other aquatic life to suffocate. ​A tip shop would have employment, environmental and social payoffs, writes Maddy Harford. RUBBISH! We buy it; we throw it away. Landfill is a significant source of greenhouse gas emissions in Bass Coast. Our community has already made a start in reducing the volume of landfill. Last year Bass Coast residents recycled 8000 tonnes of waste but there’s still a great deal that goes to landfill that doesn’t need to. It could be reused, repaired, renovated and resold. A group of Bass Coast residents wants to find better local solutions for waste. They believe we can reduce emissions from landfills at the same time as creating local employment opportunities. Saved more than 40,000 tonnes from landfill. Sold more than 60,000 bikes. Sold more than 43 million other items. Given away more than 2 million items of clothing. Raised more than $300,000 for charity. The group is working on a project to set up a tip shop to recycle “useful rubbish”. We have been talking with Bass Coast Council and other like-minded groups and businesses about what other actions a community group could take. We have some ideas but welcome more, so we are hosting a community meeting to get more input and involvement in how we can improve how we manage waste. The meeting will be held at the Wonthaggi Neighbourhood Centre, Mitchell House, 6 Murray St, Wonthaggi from 7-8.30pm on Wednesday, April 13. We regularly attend the Morwell, Bairnsdale, Mornington and Hampton Park Tip shops. As mentioned, it creates employment, reduces landfill costs and recycles things that would otherwise just be thrown into a hole. We have picked up sheets of colourbond to build a chook house and kennel. Found some office chairs that were a fraction of the cost of a cheap student office chair. As things come in at differing times of the day, these shops are always buzzing with happy shoppers. Impressive stats from the Canberra Tip shop do encourage me to come along to the WNC on 13th April. I wonder how long the Canberra shop took to establish itself to this degree? And the larger population would have a lot to do with it's success. So I'd better attend the meeting to ask my questions. February 27, 2016 - Bass Coast Council will consider introducing a three bin system which will include an organics bin for kitchen food waste items and green waste. A LOW-impact nature trail from Anchorage Road carpark to Saltwater Creek in Ventnor is the best option for the area, as decided by Bass Coast Shire Council at Wednesday's meeting. Findings from a report developed following extensive community consultation recommended the trail provide access to the beach at both ends, with educational signage to also be installed along the trail and an information board at the car park entry. The council consulted with the local community through direct contact with community groups, drop-in sessions, a "Talking Table" and submissions to gather their views and preferences regarding a pathway in Saltwater Creek Reserve. Cr Phil Wright, who moved the adopted motion, thanked the community for their participation in the project. “The consultation sessions resulted in a significant number of submissions and interactions with the local community and Council was able to identify a preferred option that takes into account the values the community believe are important to the Saltwater Creek Reserve and foreshore areas,” Cr Wright said. The council will also consider developing a safe, off-road walking and bike path that links Ventnor to Cowes, installing a bridge, picnic table or viewing platform near the creek edge, and block informal beach access tracks; instead directing walkers to formal access points. Cr Wright said community members will also be invited to form a ‘Friends of Saltwater Creek Reserve’ group to manage the reserve long-term. “They will be asked to identify alignment of paths and the possible environmental impacts,” Cr Wright said. Council will work together with the environment and coast action groups in the Saltwater Creek area to seek funding opportunities to undertake the recommended works. 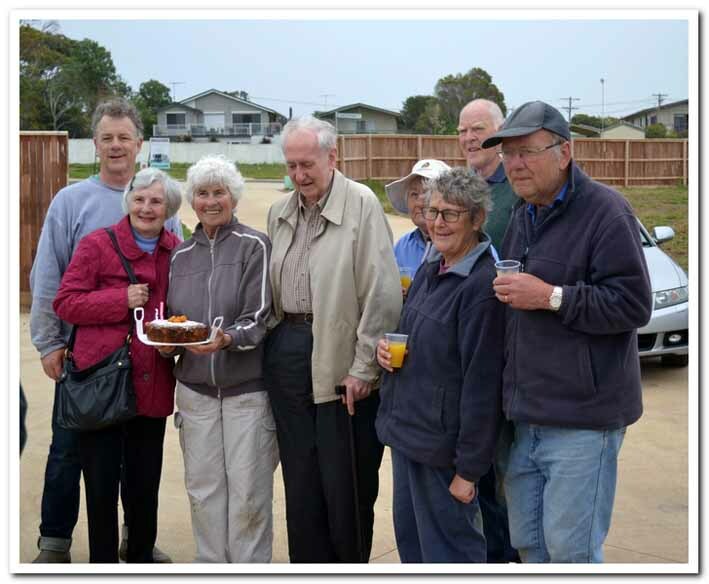 THE Cape Woolamai Coast Action volunteer group recently celebrated 15 years of dedicated work in and around the foreshore reserve. During that time, they have planted more than 11,000 locally sourced indigenous plants in the foreshore reserve, built timber steps and viewing platforms, and upgraded sandy tracks with timber edging and gravel for improved public access. They have also used grant money for large-scale weed control programs, stabilised dunes and stopped erosion, and just recently have planted 3,500 plants in reclaimed Crown Land adjacent to the Woolamai House development site. Bass Coast Mayor Jordan Crugnale thanked the volunteers for their hard work. The group celebrated their milestone in typical Cape Woolamai Coast Action style with an early morning working bee pulling out a large pile of woody weeds, followed by a gourmet spread for morning tea. 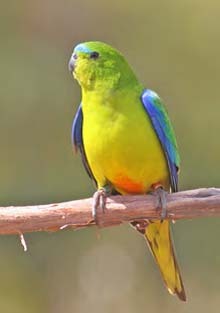 Orange bellied parrots, one of Victoria's rarest birds, have been seen at the Mouth of the Powlett River. ​Revegetation around the Mouth of the Powlett River in Kilcunda has improved biodiversity and created improved habitat for native animals around the area. Earlier this year, Bass Coast Council removed 20 large pine trees from the roadside near the mouth of the river as part of its roadside weed plan. It was then revegetated with indigenous plants to improve the habitat for local wildlife, and has become a popular area for large mobs of kangaroos, as well as a resident wedge tail eagle. As part of the council’s on-going commitment to increase biodiversity across the shire, the rail trail at the mouth of the river has also been also revegetated with 2500 indigenous species. Council’s sustainable environment manager, Deirdre Griepsma, said this would increase the width of habitat along the trail and link it to the Powlett River vegetation, creating a biodiversity biolink. Saltmarsh and coastal woodland revegetation. Fish, including estuary perch and silver trevally. Birds, inlcuding hooded plovers, eastern great egrets and orange bellied parrots. Due to the significance of the Powlett River, the West Gippsland Catchment Management Authority recently received funding to fence off remnant coastal wetland vegetation, control weeds and plant indigenous riparian vegetation along the estuary downstream of the Bass Highway. This also includes funding for fencing, weed control and revegetation along the river upstream of the Bass Highway to Lance Creek, West Creek, Archies Creek East Branch, Woolshed Creek and Bridge Creek. The CMA is keen to talk to adjoining landowners interested in revegtation. July 26, 2015 - There’s work to be done at Phillip Island’s newest conservation reserve, the former Scenic Estate subdivision. 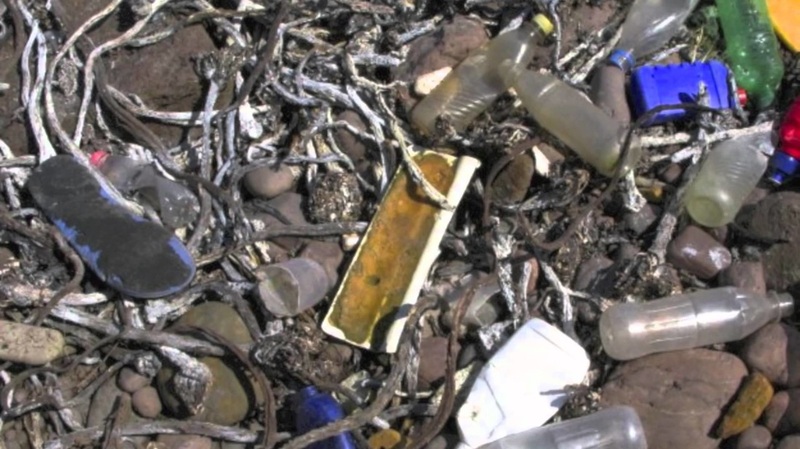 Kayaking in the Norwegian fjords opened Anthony Hill’s eyes to plastic debris in our oceans. Now the professional quizmaster brings his unique brand of activism to Bass Coast. GROWING up near Manly and Coffs Harbour, Anthony Hill always loved the ocean. He enjoyed “nippers” as a small child, surfed as a teenager and sailed in regattas. Later he lived in Bergen, Norway’s second largest city, which is situated between seven fjords. He bought a sea kayak and began organising day trips, and sometimes even overnight camping trips, into the majestic fjords with his two children and friends. Over the years he noticed more and more plastic debris floating in what most would have considered one of the most pristine parts of the world. Some days he would return with bags of rubbish, mostly plastic. In Norway, Anthony made his living as a quizmaster at pubs and bars around the city, which evolved into shows on national TV and a city radio station. 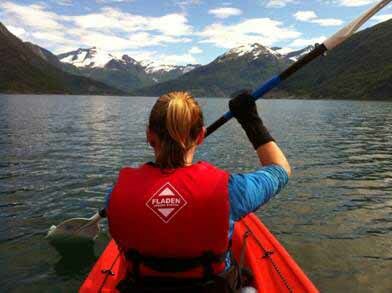 Kayaking in the Norwegian fjords opened Anthony Hill’s eyes to the plastic debris that litters our oceans. One day after returning from the fjords with a particularly large plastic bounty, he googled “ocean plastic” and come across “The Great Pacific Garbage Patch”. The more he read, the more horrified he was at the sheer amount of plastic infesting the oceans of the world and the rate at which it was increasing. Anthony’s beloved ocean was sick and getting sicker and not much was being done about it. He decided he had to do something so he started up a Facebook group called Clean Oceans (Rein Sjø in Norwegian). By 2012, Clean Oceans had grown to nearly 300 members and he and a couple of friends organised a harbour clean-up. Nine people showed up, including Anthony and his two co-organisers. This was Anthony’s first experience of “Clicktivism”, whereby people “click” to like a particular page or event but otherwise show little real engagement or commitment to the cause. Despite the poor turnout, in four to five hours they found nearly half a ton of rubbish on land and sea. The next year 12 took part in the event and nearly 30 in 2014. The rubbish intake increased both years. So “The Family Trivia Tour - Saving Oceans from Plastic Pollution” was born, combining the fun of a trivia night with confronting facts and some solutions. The tour began in Manly, Sydney in September 2014 with about 80 people attending the first event. Anthony has now held 20 trivia nights and more than 30 school and other presentations in NSW and Victoria. Staying in Wonthaggi for a couple of weeks, he will hold two local trivia nights and talk to students at local schools. 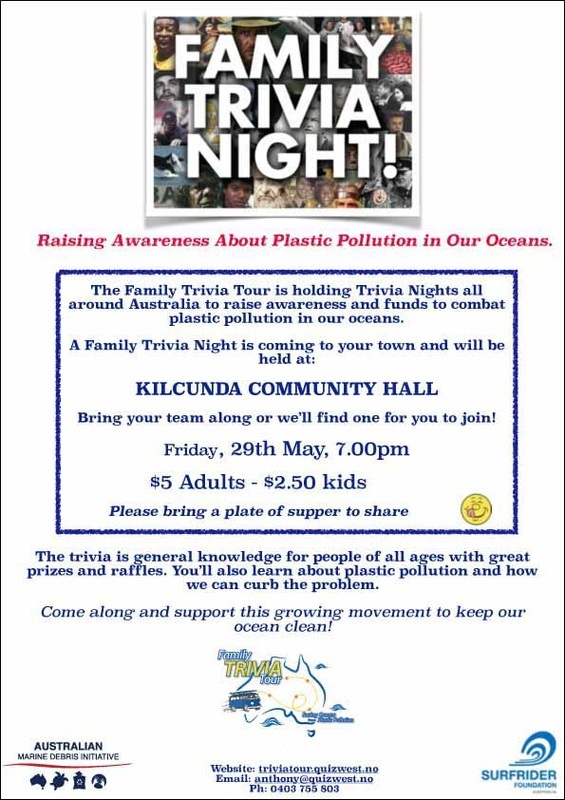 Family trivia nights: Inverloch Community Hub, 6.30pm tonight; Kilcunda Hall, 7pm on Friday, May 29. Bring a plate of supper to share. Entry $5 adults, $2.50 kids. All proceeds to Surfrider’s “Rise Above Plastics” campaign. Inquiries: Anthony on 0403 755 803 or anthonydkhill@me.com. 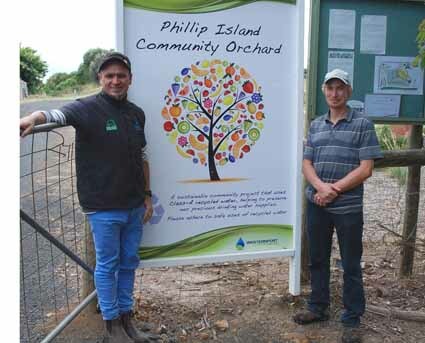 AN innovative horticultural trial at the Phillip Island community orchard site in Wimbledon Heights will use Class A recycled water and be managed using no-dig and permaculture design principles. The aim is to provide the community with a demonstration that profiles organic horticulture. A number of educational and social enterprise opportunities will also be co-ordinated as part of the trial to increase knowledge, awareness and participation in local food system projects. Project co-ordinator Adrian James, from the community orchard, says it will enable the community to learn about growing organic vegetables on a larger scale than an average backyard plot. Joel Geoghegan and Adrian James (Phillip Island Community Orchard) at the community orchard at Wimbledon Heights, site of the organic horticulture trial. Farmer or community groups with an idea that could benefit the region’s agricultural industry can contact Joel Geoghegan from the Bass Coast Landcare Network for more information about the Demonstrating Sustainable Farm Practices program. Expressions of interest for the next round of funding close on April 30. Email: j.geoghegan@basscoast.vic.gov.au or phone: 5678 2335. Funded through the Federal Government’s Demonstrating Sustainable Farm Practices project, the trial is auspiced by the community orchard and supported by the Bass Coast Landcare Network, Phillip Island Landcare Group, Westernport Water, Phillip Island Community Learning Centre and Bass Coast Shire Council. RESIDENTS and visitors recycled a record 485 tonnes of recyclable packaging material through Bass Coast Shire’s kerbside recycling bin services in December. The haul was 27 tonnes up on December 2013 and 44 tonnes up on December 2012. A grant of $56,500 from the Australian Packaging Covenant supported the council’s summer campaign to increase recycling and reduce waste by encouraging businesses to design more sustainable packaging, increase recycling rates and reduce packaging litter. The campaign also focussed on recycling in the commercial holiday homes sector on Phillip Island and improving the way recycling bins were used in the Cowes CBD and at public events. Wonthaggi Recyclers’ Adam Hill said the amount of non-recyclable rubbish put in kerbside bins was also down from 25 per cent in December 2013 to 21 per cent in 2014. He said bin audits also confirmed improved use of public place bins, even at bustling community events like the Cowes Night Market. “Our drivers have reported a huge change with servicing the event bins for the very popular Cowes night market,” Mr Hill said. Bass Coast mayor Kimberley Brown said the significant increase was a combined effort from local residents and businesses, as well as visitors to the region. Source: Bass Coast Shire Council communications. December 21, 2013 - With the Victorian premier espousing the “Shanghai of the South” for Western Port, Anne Paul revisited an academic study published 35 years ago. December 6, 2013 - Phillip Islanders have defended “their bay” against a nuclear plant, an oil refinery, a canal development and a ferry terminal. The Port of Hastings development is the latest threat, writes Anne Davie. November 16, 2013 - Aquasure’s announcement last year of a 225-hectare coastal reserve surrounding the desalination plant soothed local feelings, but so far the reality doesn't match the vision. November 2, 2013 - With views of Western Port and Churchill Island, Scenic Estate was a developer’s dream. Now a 50-year planning disaster is ending with plans for Phillip Island’s newest coastal reserve. September 28, 2013 - Joy Button delves into Coronet Bay’s history and discovers some wonderful characters, not least among a new garden group, the Horticultural Healers. September 28, 2013 - As he carefully separates his bottles, newspapers and plastic from the rubbish, Bob Middleton has a sneaking suspicion he’s being conned. August 23, 2013 - Gippyrideshare co-ordinator Fred Boreham is a living advertisement for the car pooling scheme. February 16, 2013 - The resignation of former state water minister Tim Holding prompted Mark Robertson to reflect on the ongoing costs – environmental and financial – of the desalination project and the job that lies ahead for local residents.